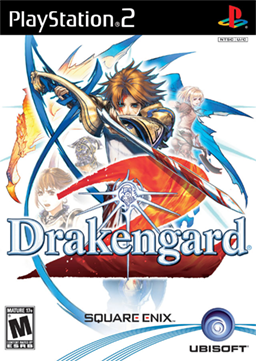 Drakengard 2 is a Japanese action role-playing game developed by Cavia for PlayStation 2. It is the second part of the Drakengard series, which revolves around Nowe, a boy raised by a dragon. In this entry, he is battling a tyrannical cabal of knights. The game combines hack and slash and aerial combat with standard RPG game structure.